Ashley Miranda is a latinx poet from Chicago. 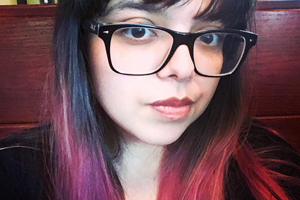 Her work has been previously featured by Denver Quarterly, Yes, Poetry, Ghost City Review, Lockjaw Magazine, and Glass Poetry Press. She tweets impulsive poetry and other musings @dustwhispers.